UKSA has welcomed the installation of a new, state-of-the-art ARI Navigation Simulator. 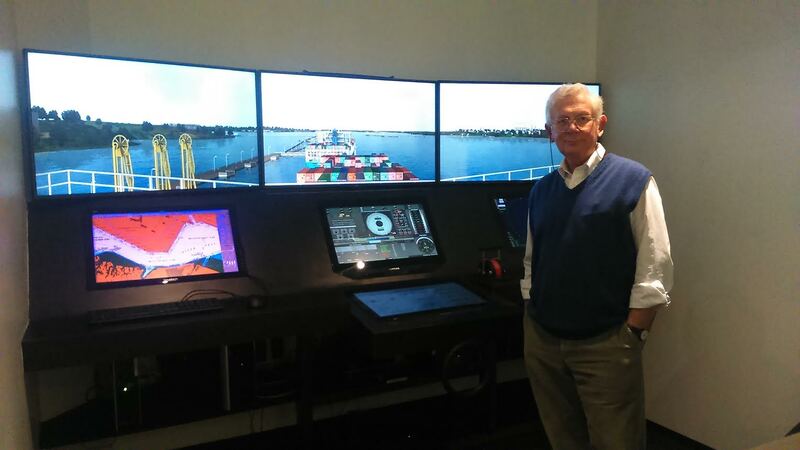 The Simulator Suite consists of one big bridge simulator with 180° vision, and four other simulator stations, for use when studying navigation, radar and electronic charting. At present it is primarily being used by professionals, topping up their qualifications, such as those on Officer of the Watch modules, or on ECDIS courses – for which the suite has been fully approved. The new system has been a big investment for UKSA but the touchscreen technology and latest software will keep UKSA as industry leaders in maritime training – offering professional courses and qualifications to everyone from top level maritime professionals to entry level students.